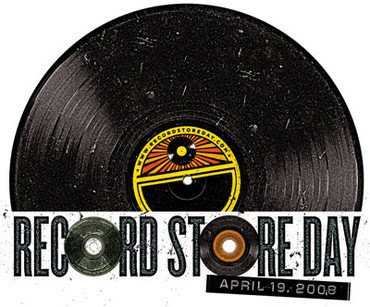 On April 19 independent record stores across the USA are marking Record Store Day. The purpose is to highlight and celebrate the role independent record stores play in promoting and providing an outlet for the music that your supermarket, chain store or Warehouse doesn't stock. These stores are under threat world wide. In Auckland probably more record stores have closed in the last ten years than remain open. The result isn't just a decline in convenience. When small and specialist record stores disappear there is an impact on the kind of music that can be made, distributed and purchased. Chain stores just don't stock music from outside of the mainstream, their focus is on the dollar. While the people who run really good independent stores definitely want to make a buck they are also music fans and that makes all the difference. One of the greatest record shops I've ever known was Crawlspace Records on K Road in Auckland. Focussing primarily on the punk / alternative end of the musical spectrum Crawlspace was well stocked and the staff were incredibly knowledgeable. I love it when you can discuss music with the person behind the counter. The fact that you can't do that in Real Groovy is the factor that means that store is not nearly as good as it could be, despite the huge range. I would go into Crawlspace and Stu would recommend stuff that had come in, because he knew my tastes and interests. Brilliant. I was genuinely upset when Crawlspace closed. I couldn't just go to another store and buy what I wanted there - it was actually the end of being able to access that music at all. While I have never found another record shop like it there are others that rate a mention, in particular Galaxy Records in Christchurch and Slow Boat Records in Wellington. In fact, to mark Record Store Day, Slow Boat are hosting an in-store performance by Samuel Flynn Scott. I would be interested in hearing your record store stories and recommendations. Just click on comments below. Crawlspace is greatly missed. I agree with all you said. Auckland is very much lacking a great Record store. Thanks to Stu and Gonzo.. .